The most visited page of a website after the homepage is the Login page. There are so many ways to design and build the login page. No matter how the login page is built, it should definitely not confuse the users. There are many aspects while designing a login page for a website that uses cloud computing. What are the various aspects to keep in mind while designing a login page for a website? As the name suggests conventional login pages is the standard on the internet. Websites that fall in this category include Google /Gmail, Yahoo and Microsoft. 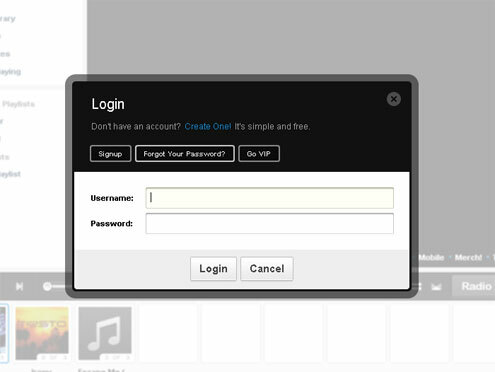 The login box is shown to the extreme right of the login page. This is the standard way as used widely on the internet. The obvious benefit is that a user does not have to search for a login box. However, this approach needs a separate page for login. 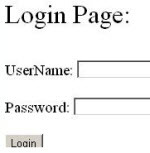 This type of login page design arose during the nineties and was pioneered by dot com companies like Yahoo. Also an advertisement can be shown on the left hand side of the page. Big websites like Yahoo and Microsoft use the left hand side of a login page to tell users about various services. The site that uses the first category is Facebook. The Facebook Login Box is located at the top most right corner of the webpage. Twitter and Facebook use both the categories widely. They use when the user has entered a wrong password or username. Grooveshark uses the secondary category. In GMail, if the user enters the wrong username or password, he / she is redirected to the login page. However now the login page contains the previously entered username. This is not true for Twitter and Yahoo as both username and password are shown as empty. Every time I open the Facebook homepage, I see that the username is already populated. I guess that FB is using some cookies to store the user email information. Nowadays popular Universal login options like OpenID and Facebook Connect are used widely. They allow a user to use more than one websites with a registered login information of any website.